Baseball and softball gloves see a lot of wear-and-tear. But if their structure is still intact, you can easily repair them. Repairing gloves is a better option than replacing as it costs less and lets you keep using your beloved gloves for some more time. In this quick checklist, we have brought together relevant resources to help you repair gloves. 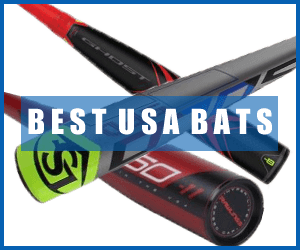 Why and When The Baseball or Softball Gloves Need Repair? Which Parts of a Glove are often broken? What we need when repair gloves? 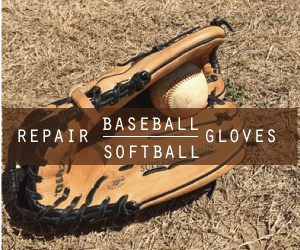 Ways to repair Baseball or Softball Gloves – Quick Guide. Ways to use and preserved Gloves for long time. Baseball and softball gloves need to be used very often. In fact, if you own a glove, you are likely to use it in every baseball or softball game you play. For this reason, your glove incurs significant wear-and-tear over time. Replacing the glove can cost a significant amount, this is why you will need to repair the glove. If you are unsure when your gloves need repair, look it over carefully. Is the lacing coming off or the leather disintegrating? Also, has the glove started to crack because of being too stiff or dry? These are telltale signs that the glove needs to be repaired now. Lacing: The lacing on your glove keeps it in shape and together. This is why when you use a baseball or softball glove during a game, the lacing has to face most of the stress. So the lacing is often the most common aspect of a glove that needs repairing. Leather: Leather is the most popular material using in constructing baseball and softball gloves. While it does offer excellent performance, leather is prone to damage from extensive use or exposure to water, sweat and other elements. If you can see the leather on your mitt cracking or too brittle, it is time for a repair. Web: The web bears the brunt of most catches during a game. Most of the times, the baseball or softball directly strikes the web before resting in the pocket. This is why the web or a glove is one of the first components to sustain damage. When you are looking for baseball or softball repair, you have two options. You can either repair the glove on your own or you can seek professional repair services. By services: A number of professional repair services offer baseball and softball glove repair. These services cost a little but in return, they are able to repair your glove in the most professional way. When using a repair service, make sure you read about it and check out the user reviews about it before hiring it. Preferably, go with a repair service that has been around for some time and has a solid reputation. By yourself: Alternatively, you can repair the gloves on your own at home. This is a method that costs considerably less and gives you the ability to repair the glove at your leisure and ease. That being said, if you don’t know much about repairing gloves, you may not be able to do as good a job as a professional repairman. This is why this method is advised only if you are willing to take some risk. If you are going to repair baseball or softball gloves at home, you need to have the necessary equipment. This is particularly important as the right equipment will help you repair the gloves more effectively. DIY repairs generally use simple tools which can often be found at home. If you need specialized equipment, you can also get it inexpensively from the local store. One of the most common types of repairs a baseball or softball glove needs is re-lacing. Glove laces experience significant wear and tear. In time, you may have to remove the laces and then re-lace the glove. This may be simply because you want to condition the glove or because the laces are so damaged that they need to be replaced. Make sure to carefully look at the tying pattern of the laces. This must be done before you remove the laces. You can use a smartphone to take pictures of the laces from different angles. This gives you a record which you can follow when you lace the glove later. If you are not sure if you can remember the pattern, start lacing with the new lace as you remove the older lace. This way, you can immediately replace the old lace with the new lace without losing any time. If you can remember the pattern well, take some time to apply a conditioner to the glove. You probably condition your glove on a regular basis but some areas are hard to condition especially when the glove is laced. These include the areas between the fingers. Be sure to apply ample conditioner on these areas. Next, take a tiny amount of the conditioner and apply it to the laces as well. This will help you lace the glove more easily and quickly. Now make a small hole through the new leather and tie a knot at the other side of the lace using the grooved needle. Begin this process at the palm area as the palm section is the hardest to lace. Ideally, start at the back of the pinky finger, then insert the needle through the hole and bring it to the front. Now trace the lacing down the palm line. Once you have traced the re-lacing through the palm line and reached the area where webbing begins, near the bottom of the thumb, stop and tie off the lace in a knot. Use the same approach to lace the rest of the glove. Once you are done with the glove, it is time to lace the webbing. Make sure you have lined up the webbing correctly before you start lacing it to the glove. When lacing the webbing, start at the bottom of the thumb and move towards the top of the pattern. Once you are done, finish the lacing at the bottom of the outer side of the glove. A baseball glove is an essential part of a baseball player’s equipment. If you have used your glove for a season or two, you already have an affinity for it. The good news is that you can keep going with the glove if you use and maintain it properly. Keep it dry: This is one of the most important pieces of advice when it comes to baseball and softball gloves. 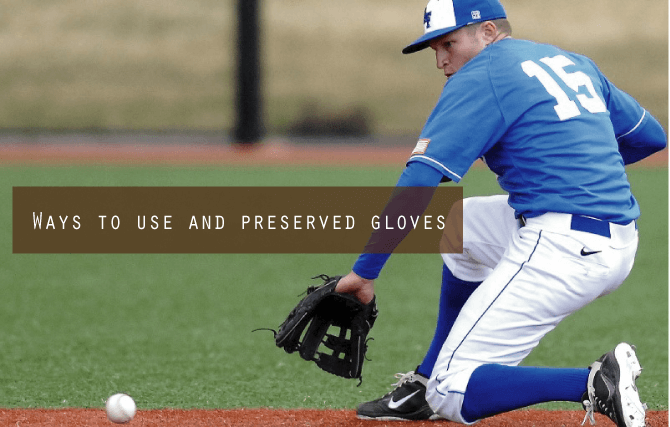 Water, moisture, sweat or any other form of humidity is going to harm your glove, especially when the glove is exposed to them for a long period. If the glove does get wet, use a piece of cloth to wipe it and then let it air-dry. Keep it flexible: Do not let your glove become over-dry or over-stiff. A glove that is too stiff may have its leather cracked. If you feel that your glove’s leather has become too stiff or dry, apply a small amount of an oil or a conditioner to it. Repair and service: A glove needs periodic repairs and servicing. Servicing includes oiling the glove, cleaning it well and also cleaning the inside of the glove. If the laces are worn or the glove is bending out of the shape, also re-lace the glove.